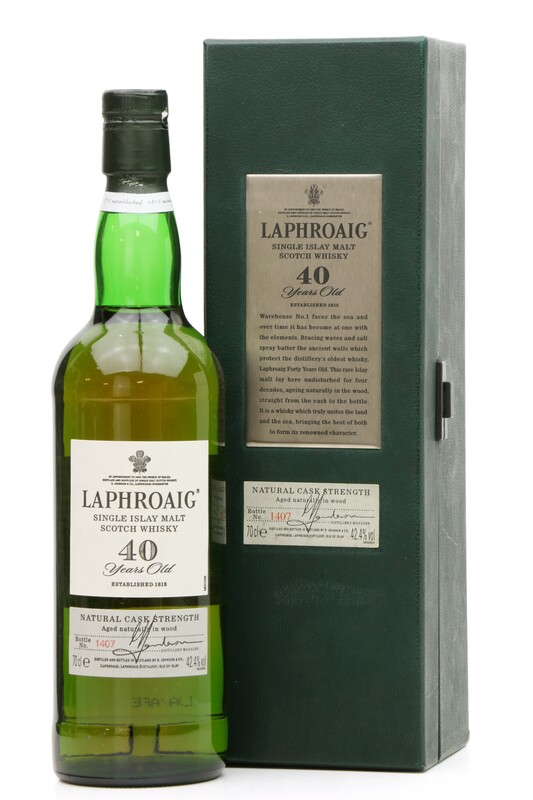 An incredibly sought after bottle of Laphroaig. 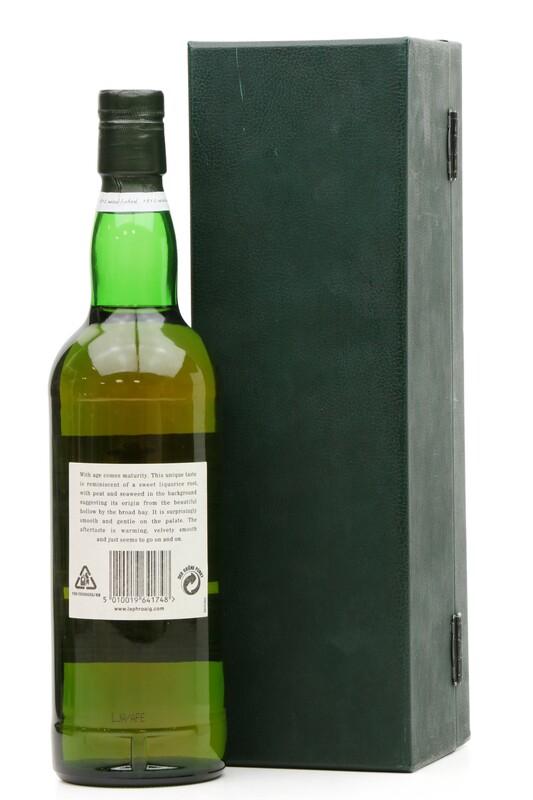 This 40-year-old whisky was the official release which followed the 1960 40 year old which was exclusive to Oddbins. In 1960, locally grown barley was malted by hand in the distillery's own maltings. Using the soft peaty water from the Kilbride Dam and peat from the Glenmachrie Moss in March of that year, this unique whisky was produced and put away in the warehouse beside the sea for its long sleep. This rare and unique whisky was produced and distilled under the care and attention of the legendary Bessie Williamson. Some people say she was the first genuine lady whisky distiller. 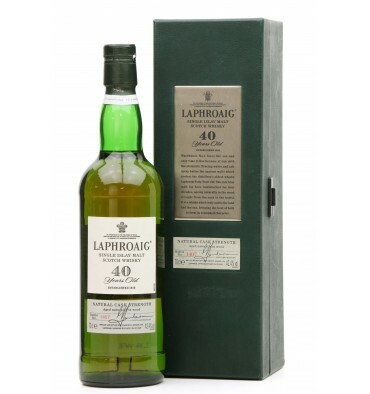 During forty years in the warehouse, a percentage of the contents of the casks has been lost in evaporation. This has been replaced by the salt-laden air of the Laphroaig Bay. To produce such a rich, mellow whisky, in such a harsh climate, is something that can only be wondered at. Please Note: Minor marks to bo, please refer fully to images for lot conditions.